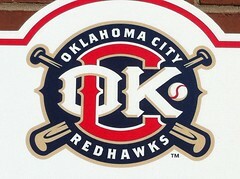 Dad got stuck in Oklahoma City for days this week waiting to get the car repaired on way back from Chicago with Mom. 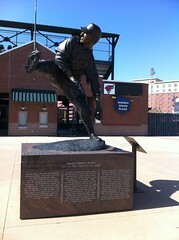 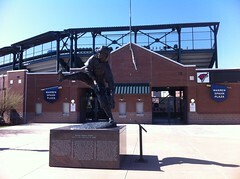 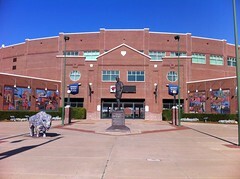 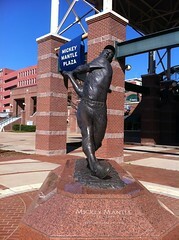 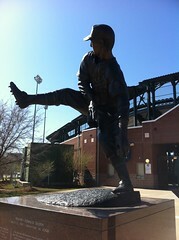 He sent me a bunch of photos from walking around the outside of RedHawks Field at Bricktown. 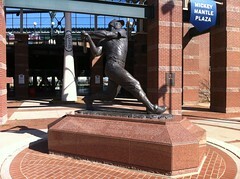 Below are the photos and his accompanying text. 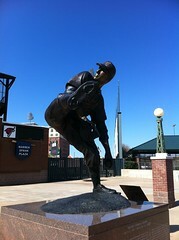 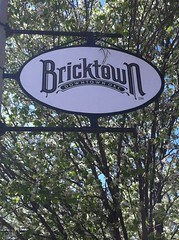 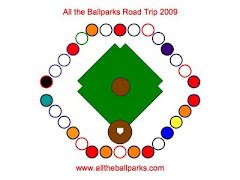 "Downtown OKC, in the Bricktown District, is the minor league ballpark of the Redhawks. 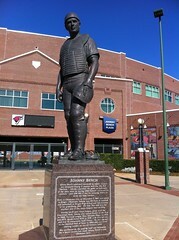 Outside the stadium is a tribute to famous ball players with Oklahoma roots: Warren Spahn Plaza, Mickey Mantel Plaza, and Johnny Bench Plaza. 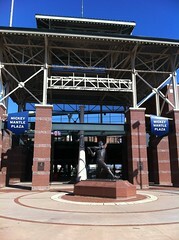 I walked around the ballpark yesterday."